Today, Tuesday September 1st marks the start of the 2016 Music Producers Guild Awards, with submissions opening online. There are 12 categories open for public submission and the process for putting names forward for an Award is very easy. Anyone can submit names, and it is perfectly acceptable to submit your own name if you are eligible for a particular category. 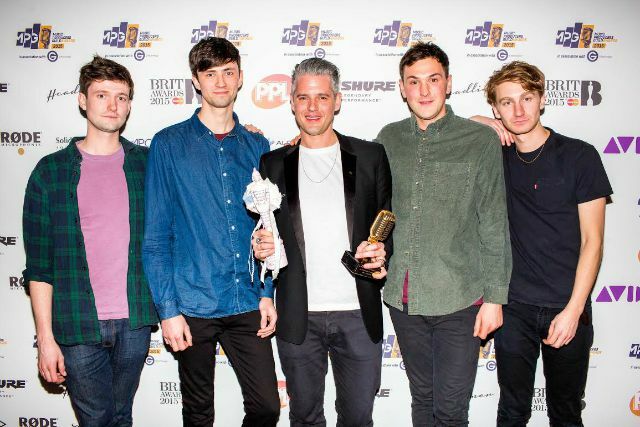 Paul Epworth (pictured above with the band Glass Animals) was 2015 MPG Producer of the Year. He also won a 2015 BRIT Award for Best Producer.